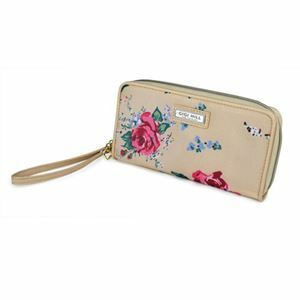 This gorgeous floral-print wallet has 18 card slots and a coin pocket, plus room for your phone and everything in between. The zip-around closure keeps everything secure. We’ve added a convenient and stylish wristlet strap for our on-the-go gals!